Shortly after this blog was launched, The PRDude had the honor of attending a reception hosted high above the Chicago city streets in a tower where for decades great men and women sought the truth and then shared that information through the earliest form of mass communication — the newspaper. 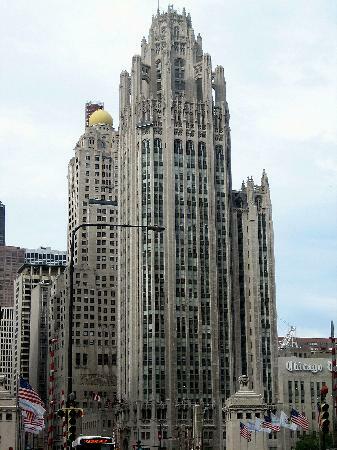 That September gathering was held on the outdoor patio at the top of the iconic Tribune Tower. As reported in this post from September of 2009, I learned about the “reinvention” as I called it of the storied Tribune Company, producer of The Chicago Tribune — its namesake daily newspaper — as well as other major market dailies, television and radio stations and other communications companies. The event was sponsored by the Chicago Chapter of the Public Relations Society of America and held in the upper floor outdoor patio at the Tribune Tower, 435 North Michigan Avenue, an address every public relations professional from Chicago should know by heart. At the time, the Tribune Company was going through a reorganization after being taken over in a complex leveraged buyout led by a very famous real estate tycoon from Chicago named Sam Zell. The Tribune executives at that September event offered a fresh perspective on what was to come, how the company would embrace digital communications and be relevant and competitive in a rapidly changing media landscape. What’s prompting this post are some revelations stemming from what unfolded since that warm evening in September some three years ago. Starting on Sunday January 13, the Chicago Tribune has published an outstanding series that chronicles its proposed “reinvention.” As a print subscriber, I read the first three reports the old fashioned way: In the broadsheet edition that gets delivered to our home each day. Were these guys running the “reinvented” Tribune Company? “president of buying crap” at eBay. “senior executive vice president of technology and stuff” at Microsoft. 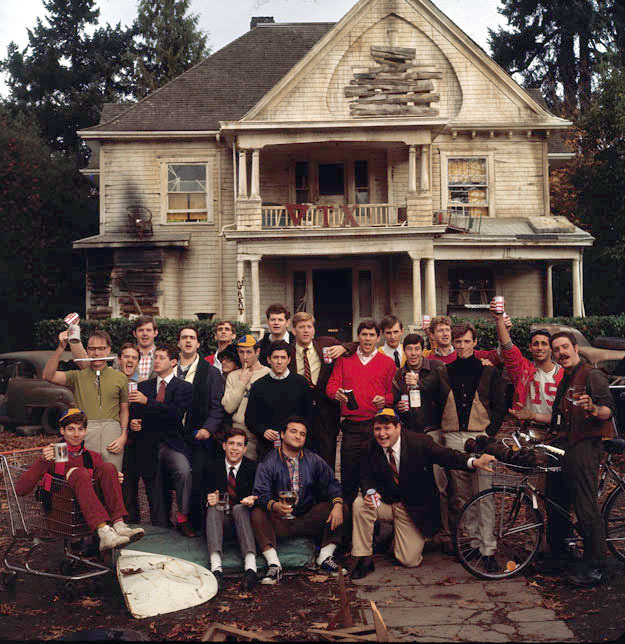 Yes, it sounds like the guys from the Delta frat in the “Animal House” film were running the company, not businessmen. Read the full piece to get a better perspective of the alleged nonsense that took place. As an ethical public relations professional, I’m insulted that this kind of juvenile garbage was distributed as a personnel news announcement. As a former journalist and long-time subscriber and reader of The Chicago Tribune, I’m thrilled the editors decided to publish such a compelling and necessary series. As someone who embraces open communications, I hope lessons learned from the Tribune Company sale debacle will prompt others to follow a different path.